Nomination to Kancho IBK for Kyokushin Hanshi Jan de Bruin. 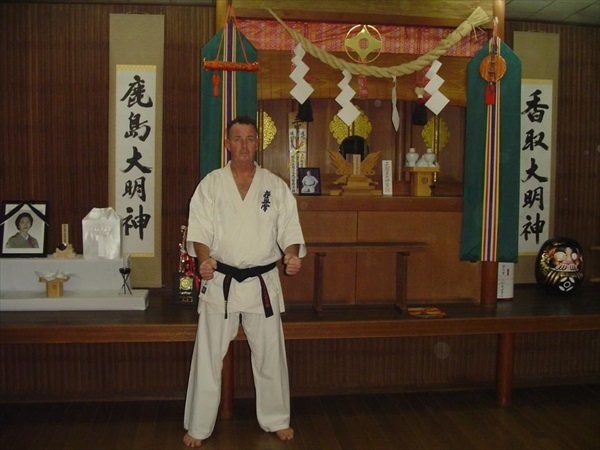 This afternoon, Jan de Bruin Hanshi nominated by Kaicho Bluming to Kancho of the International Kyokushin Budokai Kan. This is a great honor for Jan de Bruin Hanshi, finally Hanshi Jan, is the only student who still works with Kaicho Bluming on technical and organizational matters! Along with Chris Dolman, 9th, they exercise a couple of times a month on the Tatami to work on all Kihon, Kata and Kumite, to bring the technology to a higher level. The nomination is personally approved by Kenji Kurosaki, 10th Dan Honorary President International Budokai Kan, Kaicho Jon Bluming 10th Dan and advisors of Kaicho in cluding Chris Dolman Hanshi, 9th Dan, only for Kyokushin! From now on, Jan de Bruin Kancho is responsible for the IBK, along with Kaicho Bluming. Kancho Jan de Bruin, congratulations on this special nomination!